As someone who is a big fan of fishing with hard baits, the new Rapala Coastal Series really caught my attention. Needless to say, when the opportunity arose, I did not hesitate to get my hands on one of the new models. 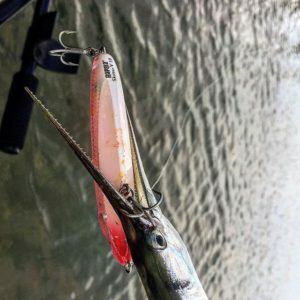 Our first ‘official’ product review is going to let you in on my honest opinion of the Rapala Skitter V and the Rapala Twitchin’ Mullet. In fact, it is going to be such a thorough review that we are breaking it up into a two part series! Rapala’s new Coastal Series was released at ICAST in 2016. The week prior to ICAST, I was fortunate enough to get my hands on one of the models. Obviously, I had one mission on my mind — catch a few quality fish and test out this new bait! That’s right, a small Bull Shark decided he had other plans for the lure. And just like that the new X-Rap Twitchin’ Minnow was GONE! After impatiently waiting, the lure finally arrived. Fortunately, it was just in time for a fantastic fall bite. Over the past 8 months, these lures have proven to produce quality fish. Biggest Redfish on the Rapala Skitter V.
We’re going to start off the series review with the Rapala Skitter V.
I initially started throwing this lure in Hot Pink! 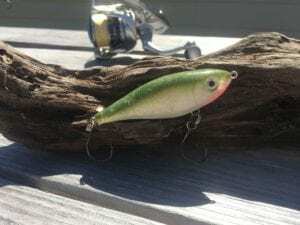 Rapala modified the shape to allow the lure to “walk” easier and It Worked! If you’re just learning to “walk the dog” then this is the topwater for you! I used this lure for several months and caught a ton of different species. From trash fish to trophies and everything in between. Rapala has always produced a quality product and this lure is no exception. It sits low and displaces a ton of water. 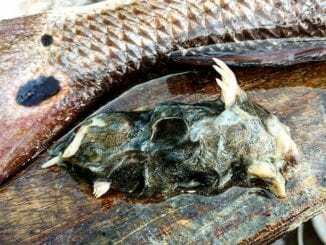 Fish were willing to travel long distances to eat. If you see one on the shelf then I recommend that you pick it up and take it home! Overall, its durable, casts great, and the fish like it! 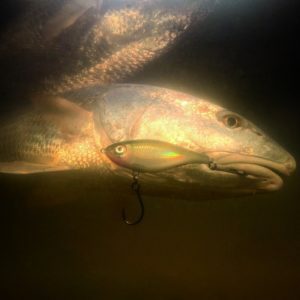 A beautiful photo of a Redfish! Out of the entire Coastal Series, the Twitchin’ Mullet was the first lure to really catch my eye. This lure floats and it is perfect for shallow grass flats. I have seen several “sponsored” fisherman speak about this lure with zero hands on experience and it’s beyond frustrating. It does not sink like a Mirrodine, it suspends to less then 2′ when twitched and slowly rises on the pause. 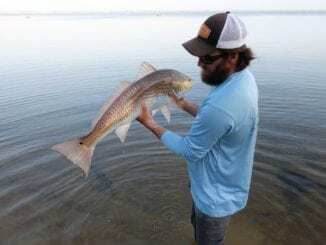 Redfish simply cannot resist this lure. When I’m covering water quickly, it’s a go to! 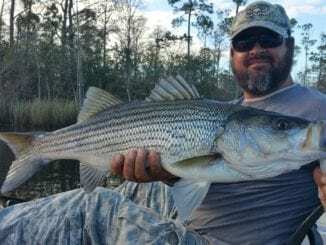 When Redfish refuse to strike a topwater, I tie on the Twitchin’ Mullet and catch fish! 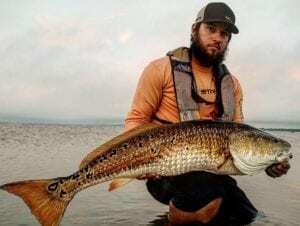 The sub-surface action is amazing and Redfish love to crush it on the pause. Overall, its durable and casts great. Just one – The front hook flips over the main line from time to time. It’s preventable and it’s caused by the user! Before “twitching” the lure, reel in any slack line and you won’t have any issues. The Rapala Skitter V and Twitchin’ Mullet are two lures that catch fish. Part II will be out next week, so stay tuned!